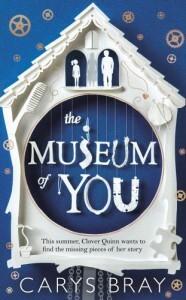 The Museum of You is a touching tale of grief and an interesting way of dealing with it. I’m finding it hard to explain why I only gave this book 3 stars, as it is well written, emotional, funny, and Clover is a great character, but for some reason I just didn’t fully connect with it. Perhaps I just wasn’t in the right mood to read it at the time I did. I’m certain lots of people are going to fall in love this book, so definitely well worth considering if you like the sound of the blurb. I would like to thank the publisher, Random House UK, Cornerstone for allowing me a copy of this book via Netgalley in exchange for an honest review.